Whereas Wimbledon and Croydon received a stimulus to suburban expansion in the early Victorian period from railways, Mitcham did not, and instead it attracted somewhat offensive industries. 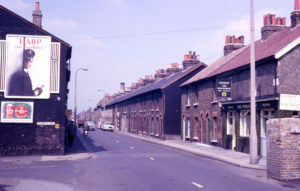 Paint, varnish and linoleum manufactories, employing extremely noxious processes, were attracted to the district west of the Fair Green, and a gasworks was established amongst the lavender fields off Western Road in 1849. Even the distillation of essential oils could be overpowering in the vicinity of the physic farms. Competition from growers abroad, and the relentless spread of London into the suburbs, combined to bring about the collapse of the Mitcham herbal industry, and the Potter and Moore estate was sold in 1886. A handful of smaller growers survived into the 1900s by capitalising upon their proximity to London and turning their land over more and more to the cultivation of salad vegetables and plants for the horticultural trade. Best known were the Mizen brothers, who owned Eastfields Farm off Grove Road and did not move away until the 1950s. Supplying another need of the London market were the watercress beds along the banks of the Wandle. Despite the spread of housing, particularly in the Colliers Wood area and in the vicinity of Tooting Junction station, Mitcham in the closing years of the 19th century was still a village, with weatherboarded and pantiled cottages, and houses in yellow stock bricks with tiled roofs. Old mansions, set in cedar-shaded lawns, could be glimpsed through wrought iron gates in long brick walls. Cricket was the great game among the inhabitants, played on the Lower Green by all classes: Mitcham vied with Hambledon for the distinction of being the cradle of club cricket in the 18th century, and by the 1830s and 40s Mitcham could field a team fit to take on all comers. In the late 19th century the Church of England created new, smaller parishes, served by their own church buildings, from the ancient ecclesiastical parish. 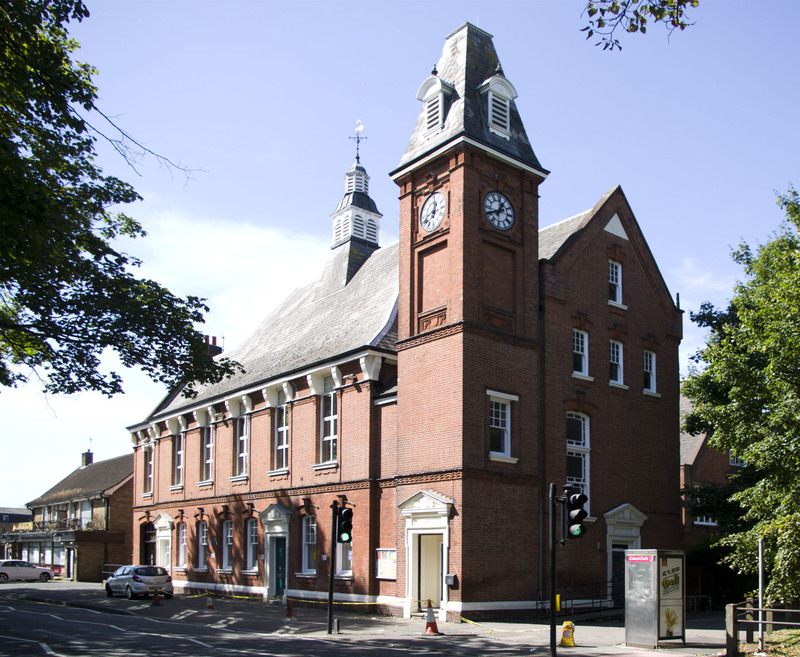 The first Wesleyan Methodist chapel opened on the Cricket Green in 1789. Zion Chapel, serving a congregation of ‘Independent Calvinists’, opened in 1818, and the first Baptist church in 1882. Roman Catholics had a chapel at the Cricket Green in 1861. The growing importance of local government was reflected in the erection of the red brick Vestry Hall on Lower Green West in the Jubilee Year of 1887. The local School Board opened its first elementary school at Singlegate, Colliers Wood. The great workhouse complex established off Western Road by the Holborn Poor Law Union had its own school in London Road, famous for its excellent boys’ band, much in demand at summer fêtes and village celebrations.